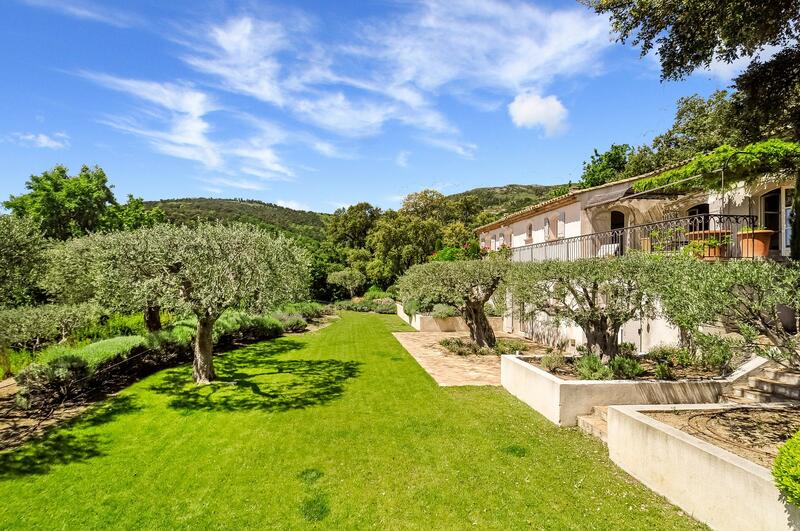 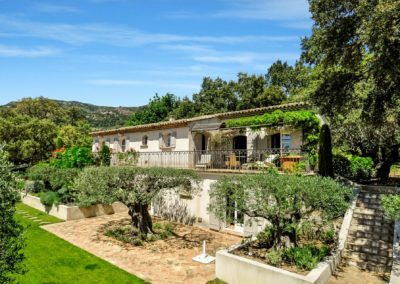 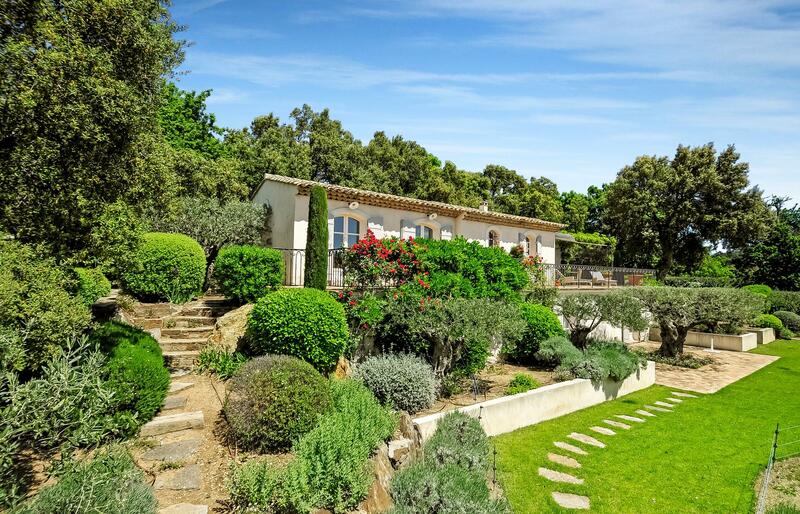 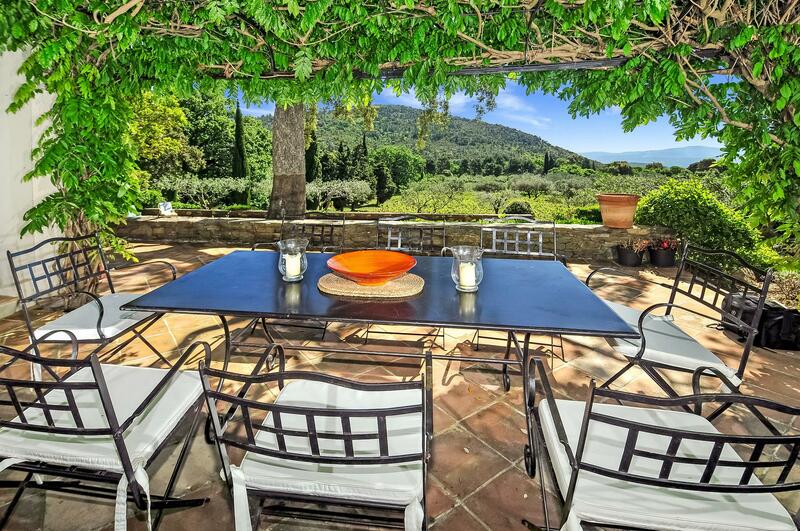 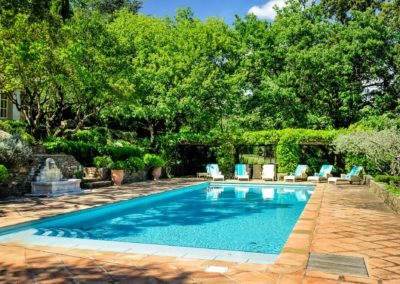 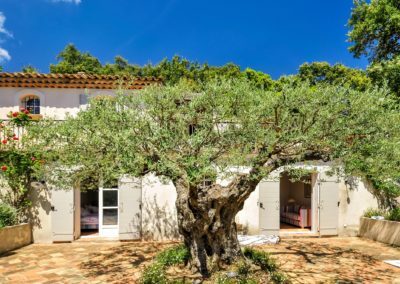 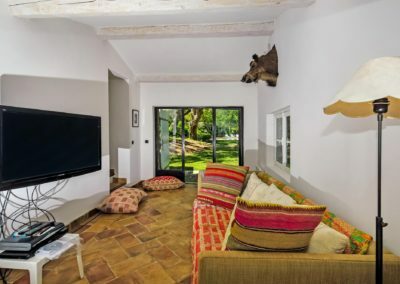 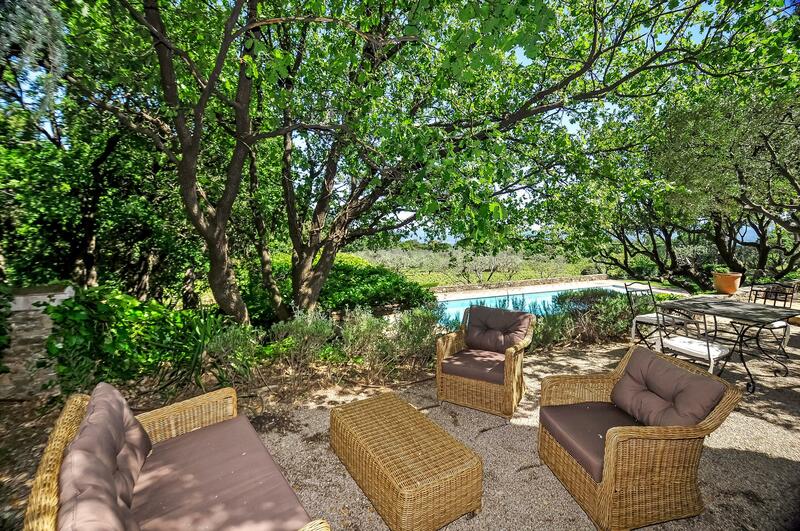 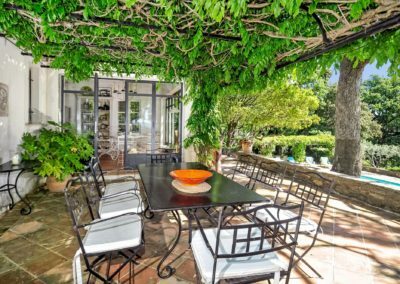 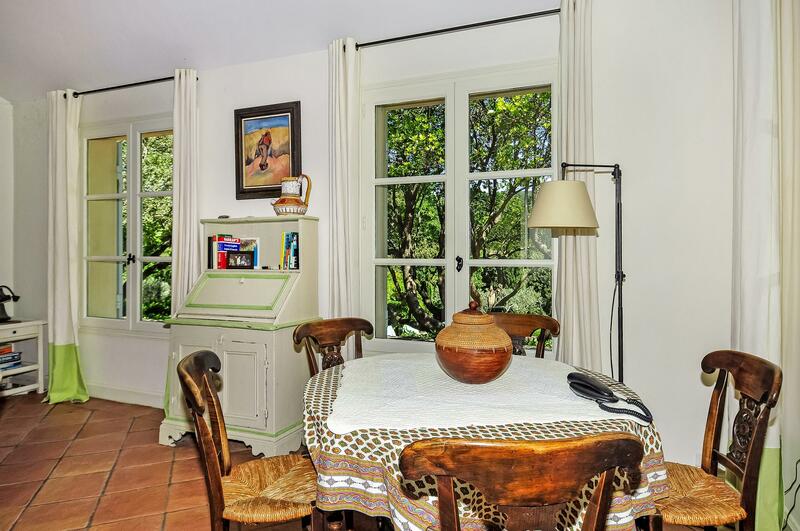 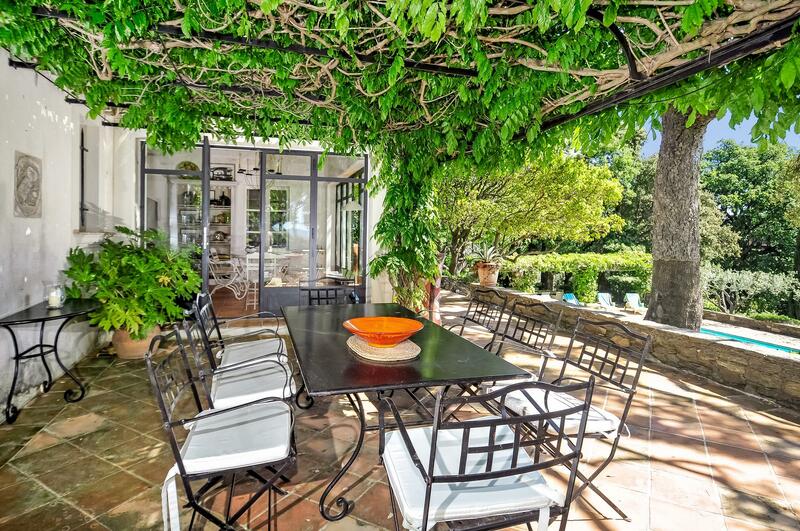 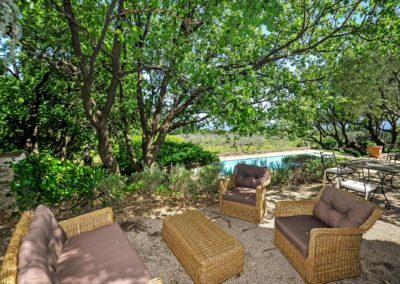 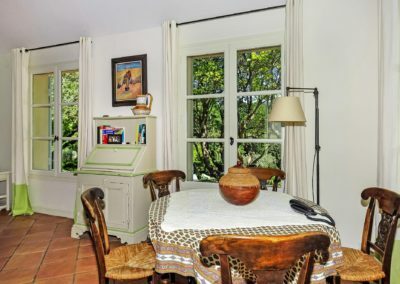 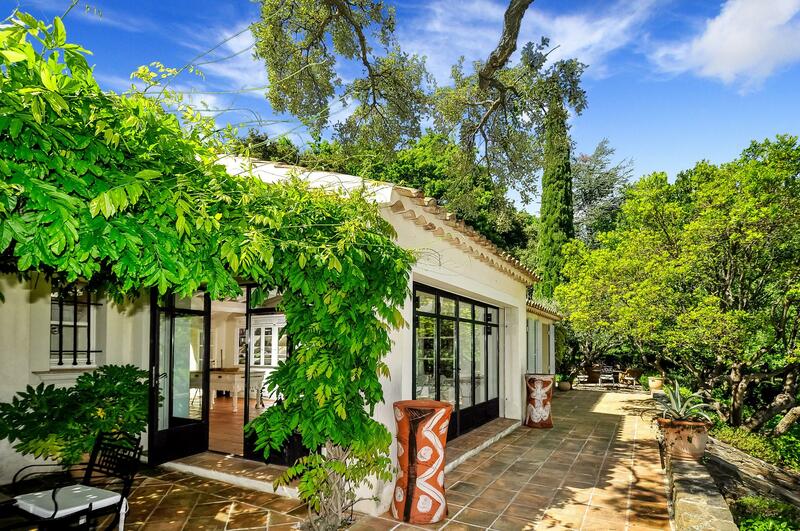 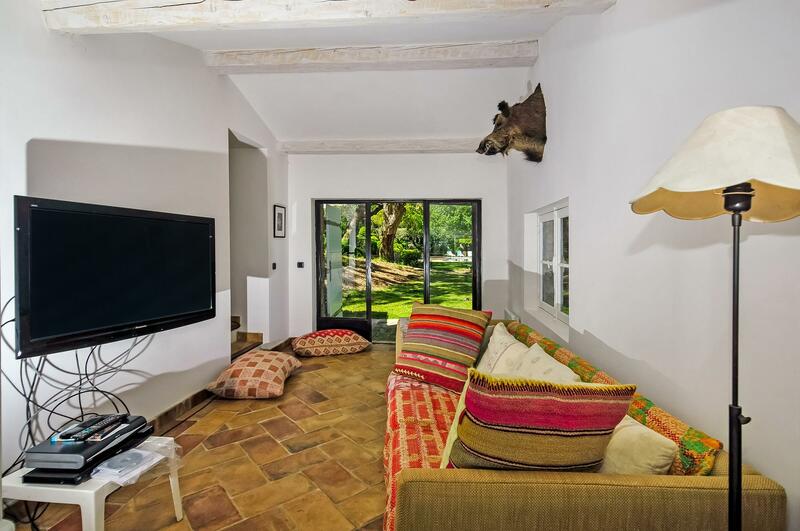 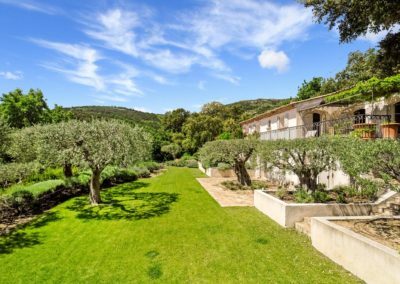 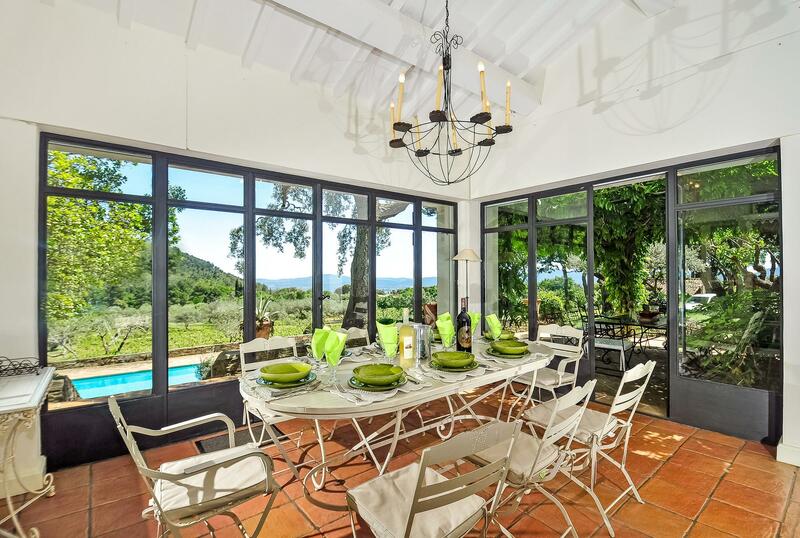 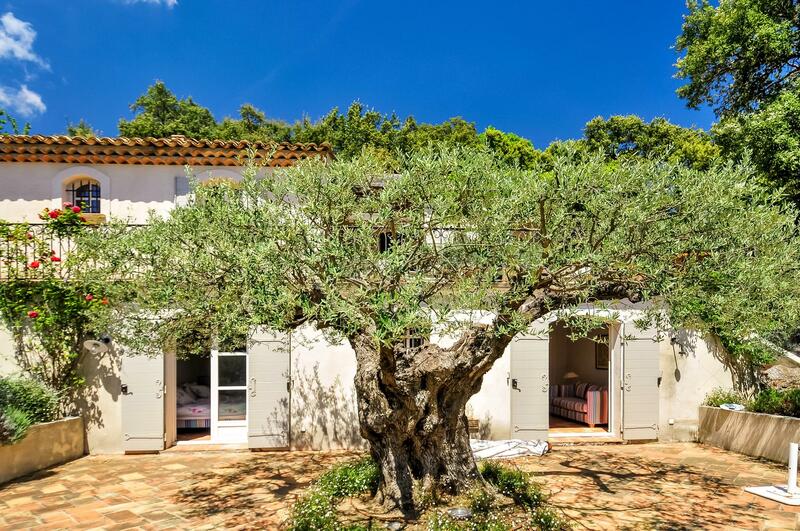 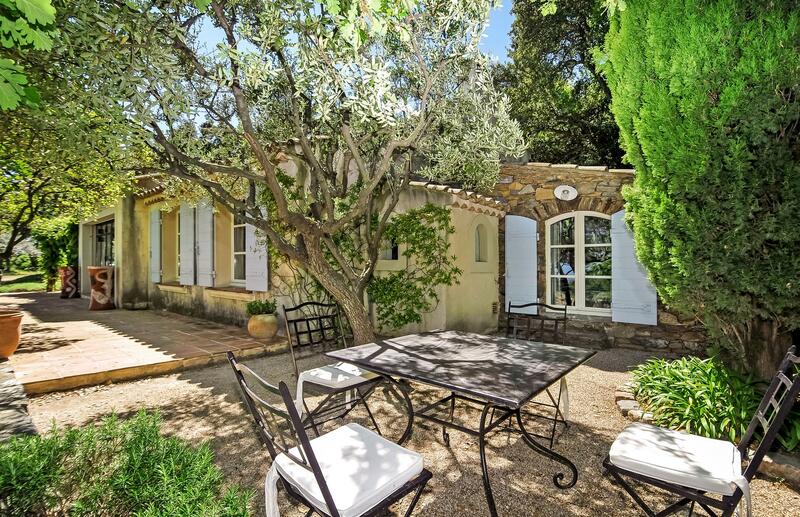 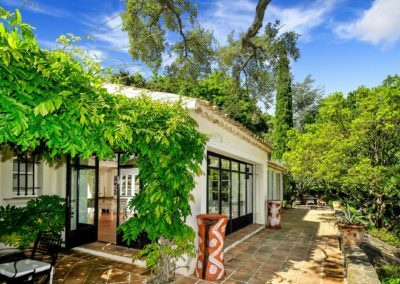 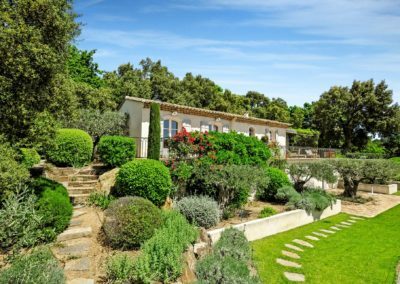 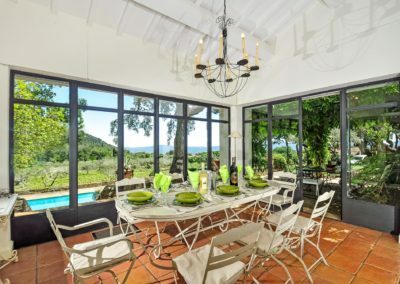 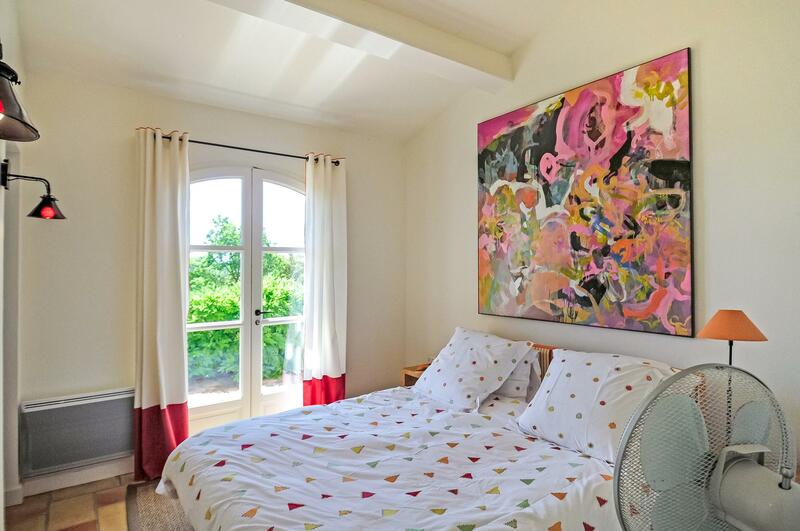 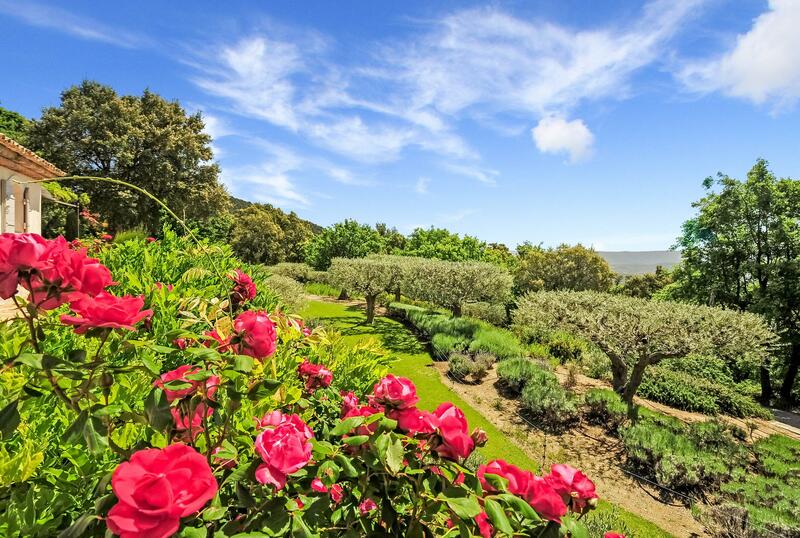 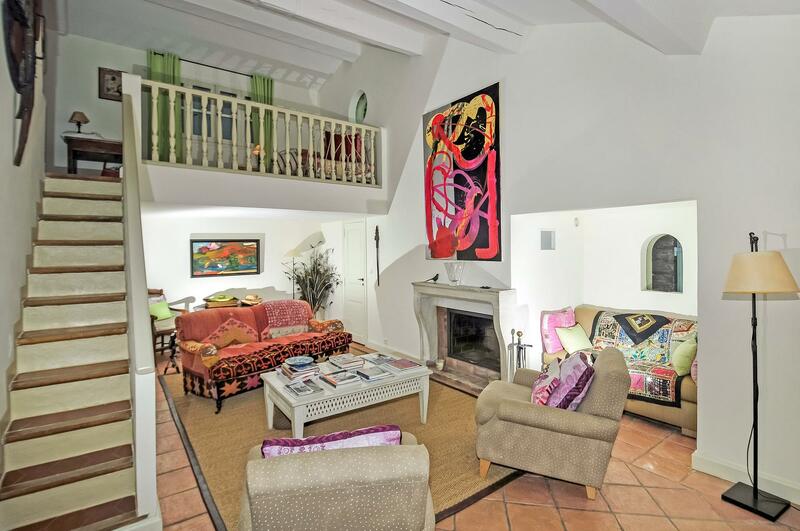 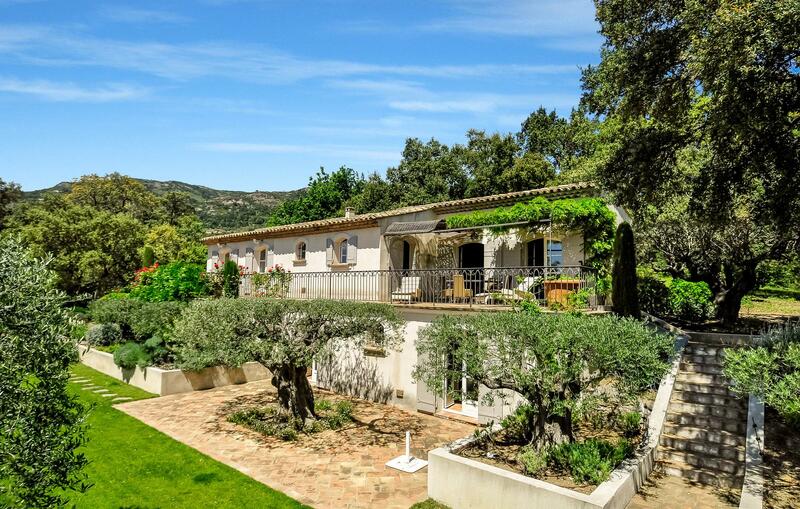 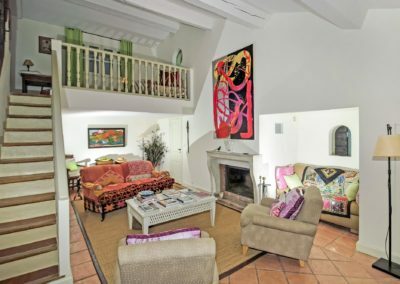 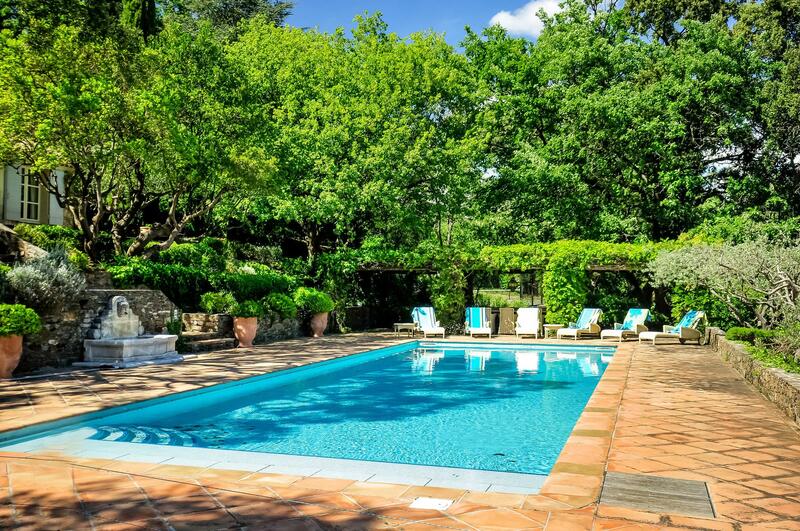 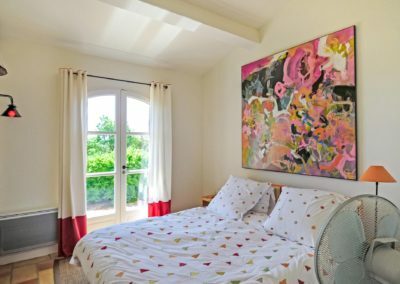 Holiday home with private tennis – This small country estate lies just outside La Garde-Freinet and offers complete privacy amid tranquil countryside. 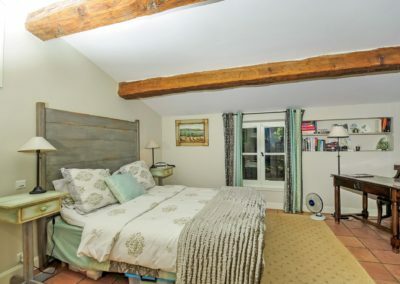 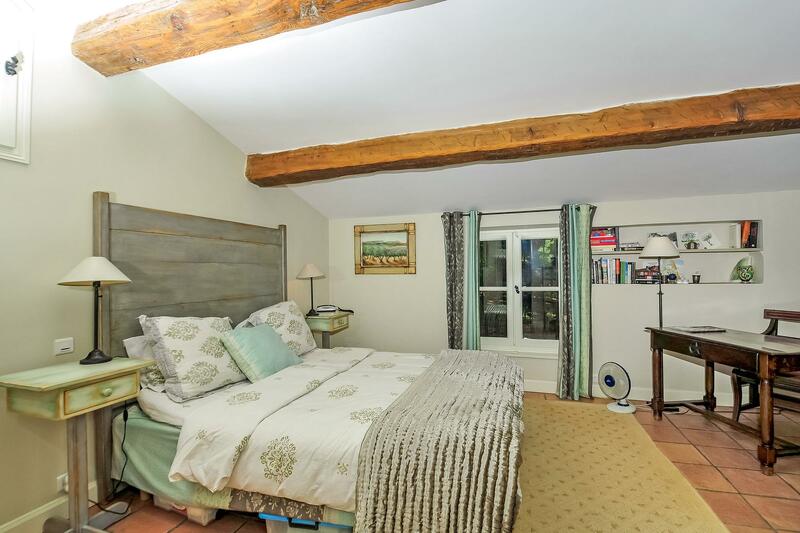 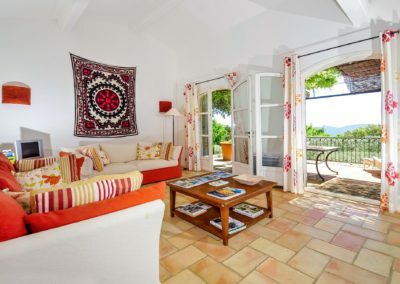 The flexible accommodation is in 3 independent houses, each with their own style and charm. 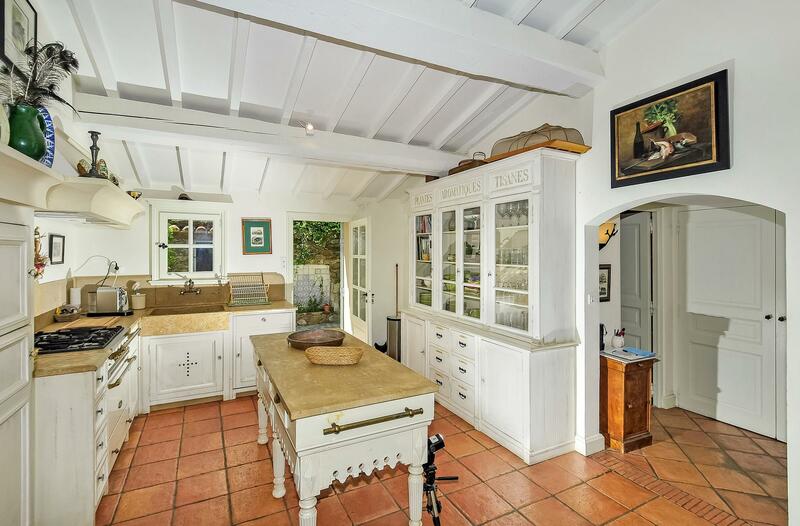 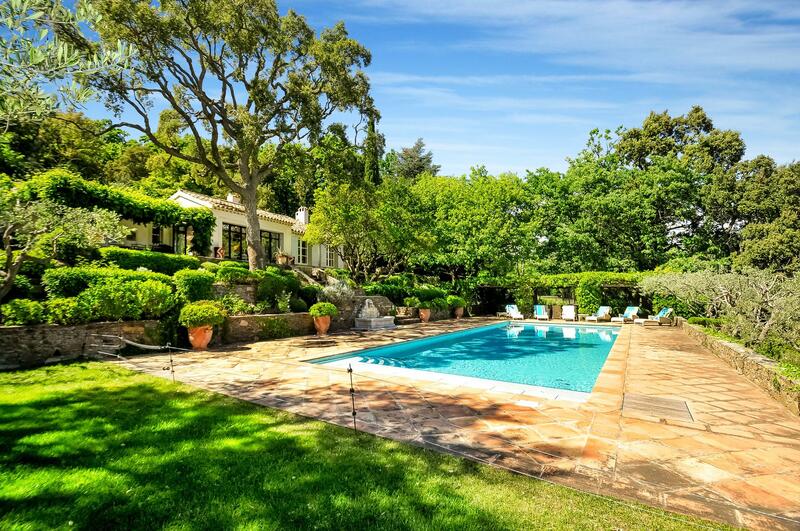 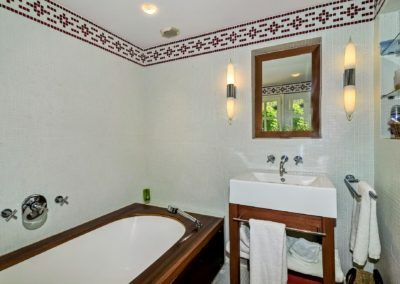 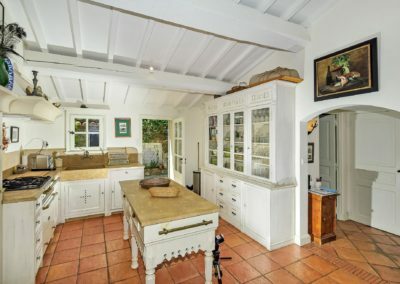 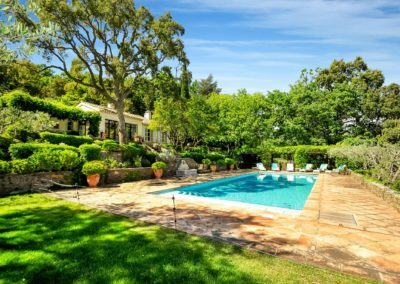 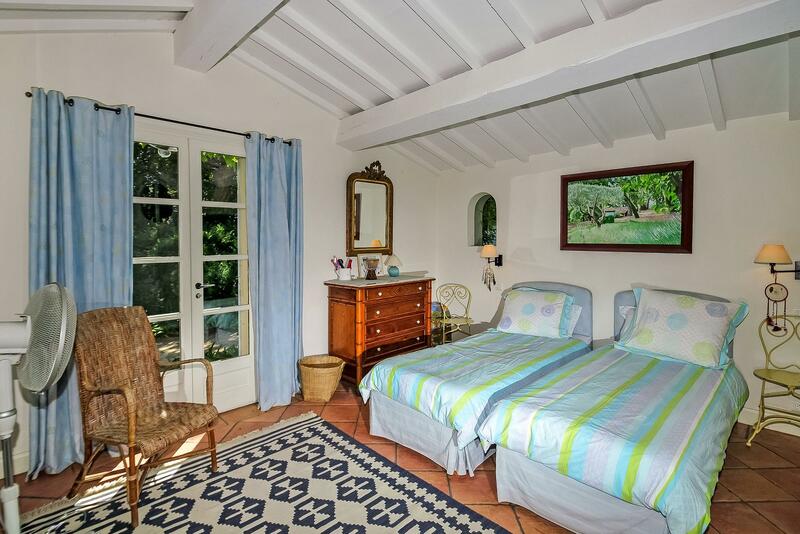 The grounds are a delight, and include a private tennis court and very large, heated swimming pool surrounded by vines and forest. 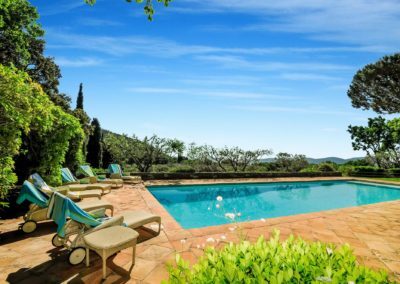 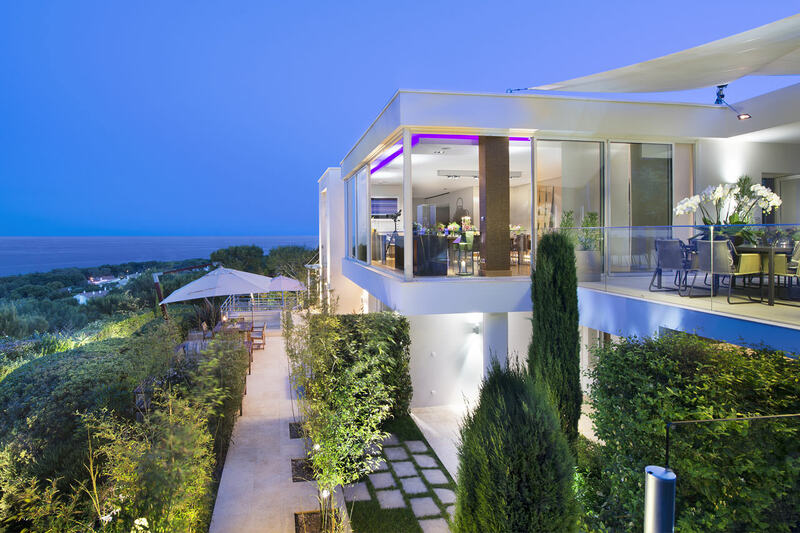 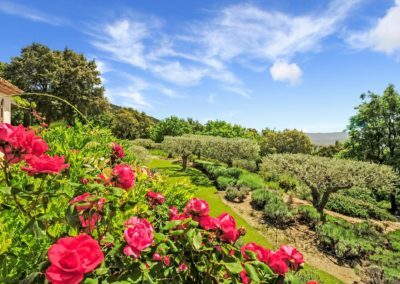 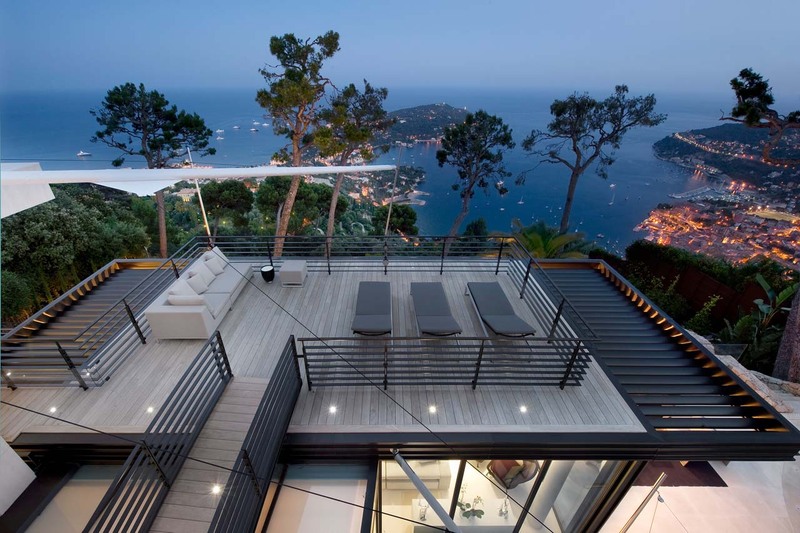 Here you are in the pass of the beautiful Massif des Maures, a vast region of forested hills spanning from Frejus to Toulon, just far enough inland to avoid the crowds, yet within 30 minutes of the bustling town of St Tropez and the beaches of the Mediterranean. 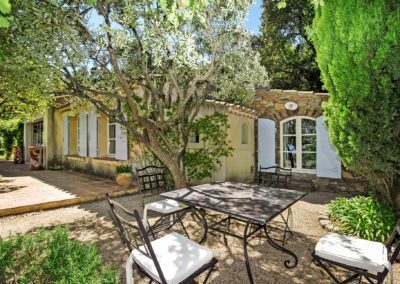 The medieval village of La Garde-Freinet is nearby for colourful, twice weekly markets and numerous shops and restaurants. 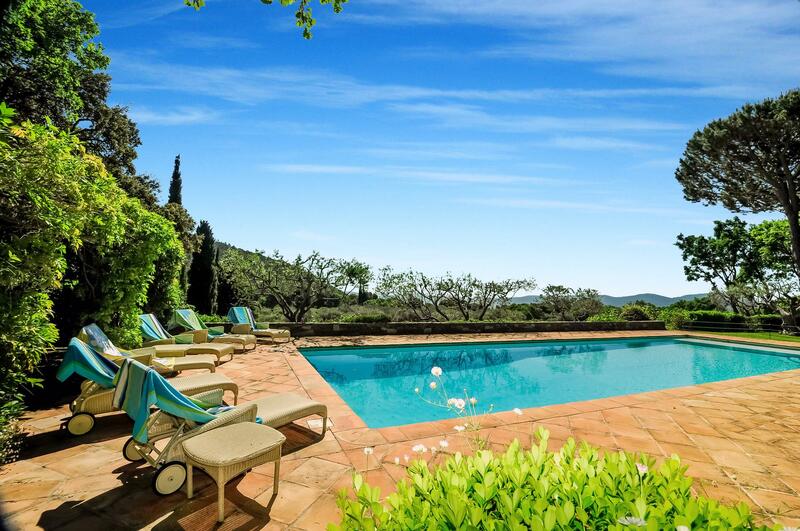 Towards the coast are Cogolin and Grimaud, a delightful hilltop village well worth exploring. There is golf at Beauvallon 20 minutes away, a variety of watersports along the coast, not to mention horse-riding and hiking trails in the surrounding hills. 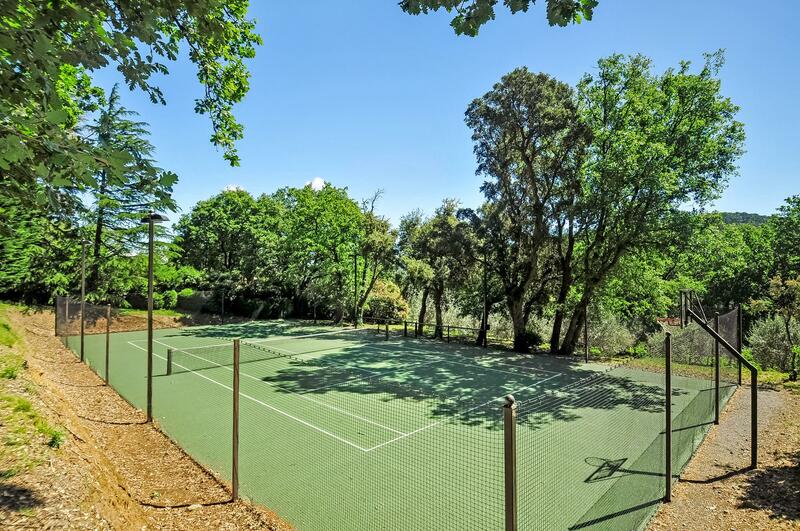 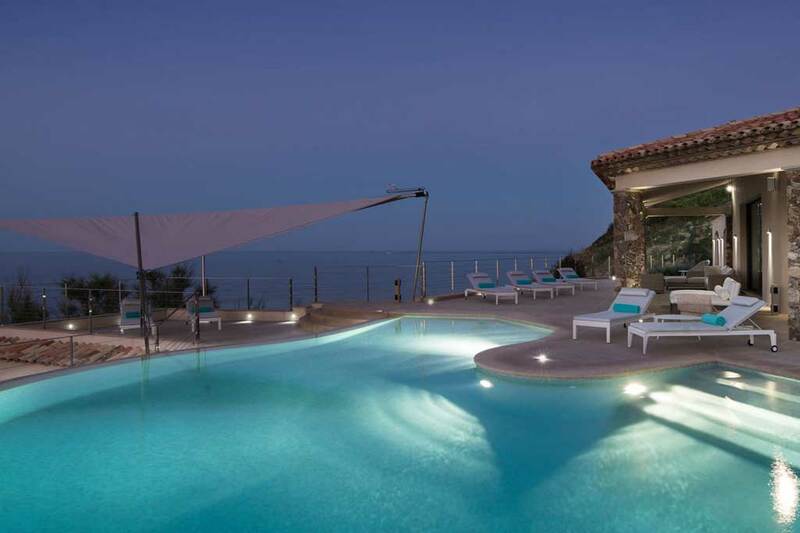 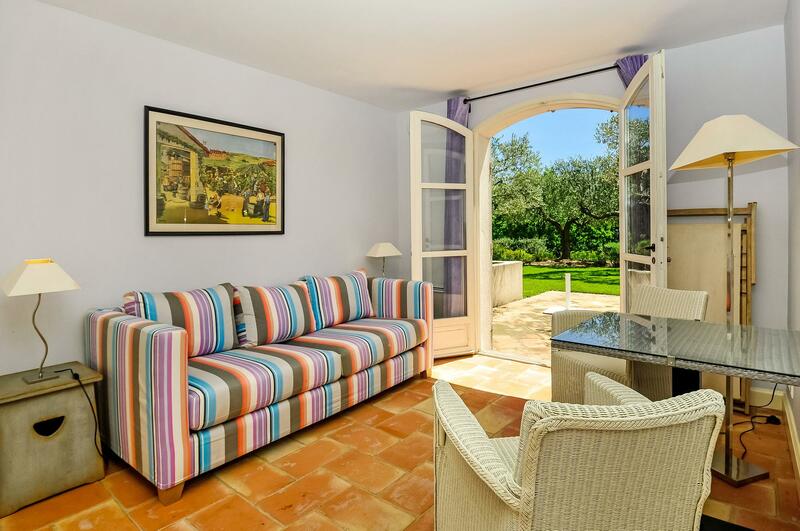 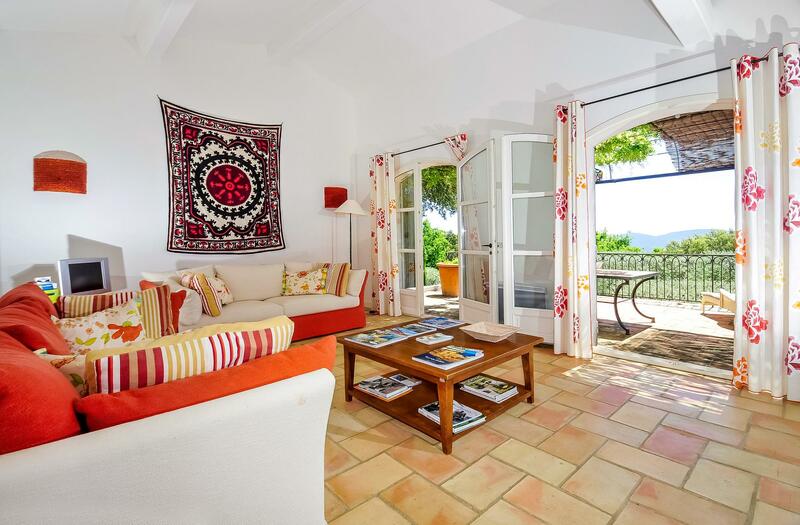 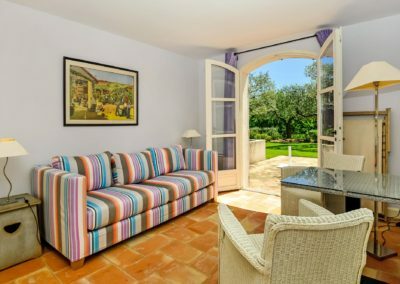 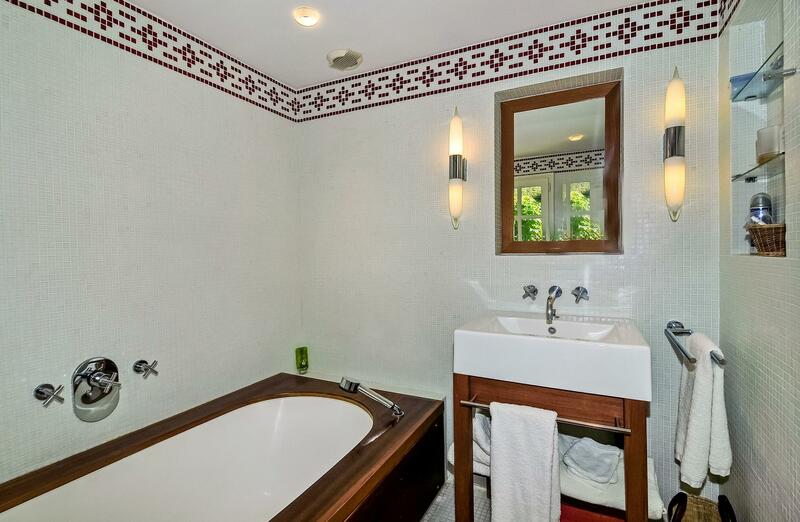 But with your own private tennis court and huge swimming pool, you may prefer to simply relax at the villa!